I have seen many Tika Taka style tactics, but many do not work for English clubs, this was actually made for me by someone else but its an exceptional tactic that fits the English style of play than the European approach of slowly slowly does it. 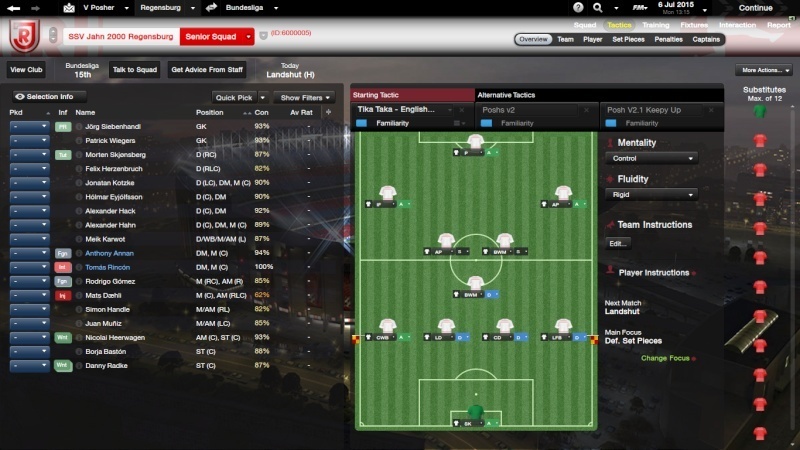 Depending on your Full backs attributes will determine if you want to play them as Wing backs or Full Backs. I do suggest playing one of your DC's as a Central Defender though. Its important that your DM is a ball winning player, must have decent tackling and passing skills and good stamina, he is a workhorse in this tactic. You can play your Striker as Poacher, TM or Advanced Forward, It doesnt really matter.